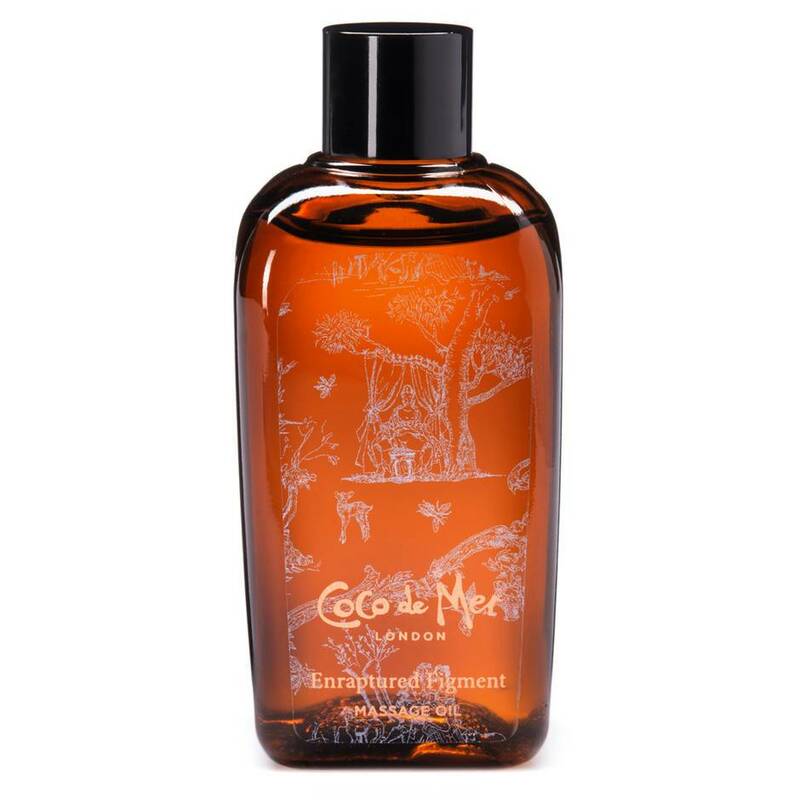 Produit de la marque Coco de Mer, cette huile de massage Enraptured Figment est délicieusement parfumée à la figue et aux extraits de fleurs d'oranger. C'est tout simplement un must pour un massage sensationnellement sensuel. Commander par téléphone : Appeler 01 76 75 46 06 et communiquer le numéro 58410. Sa formule étudiée pour hydrater et créer une atmosphère envoûtante au gré de vos massages est également respectueuse de la peau et des principes végétariens. Elle contient notamment de l'huile d'olive et de jojoba pour des sensations naturelle d'une grande douceur. 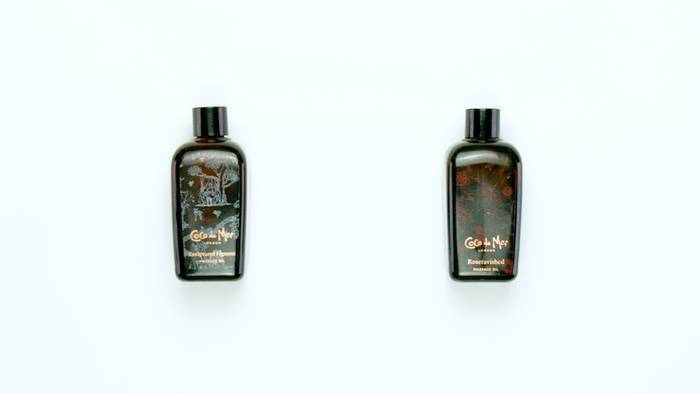 Forget the roses & treat your lover to a longer-lasting floral arrangement with these sensually scented massage oils from Coco de Mer. Infused with essential oils that nourish & moisturise your skin, it's body-safe & vegetarian-friendly. I thought I'd give this a try as the missus and I occasionally give each other a nice relaxing massage. However, we have never really used any moisturising product, so I decided to get grab a bottle of this to see what magic it may bring. First off, the bottle and the packaging is superb. Just like all Coco Der Mer products, it's unique design will definitely get you smiling. The massage oil itself is easy to use and open, but I'd be careful pouring it as you may apply a little too much. I'd like to take an opportunity to credit its smell, it's gorgeous but it could be slightly stronger. All round, fantastic massage oil that will get the receiver smiling. The physical feel is phenomenal and fantastic treat. The feel, texture and packaging. An email about a ‘Luxury Tester Item’ made my day recently. Honestly, who wouldn’t get excited about the idea of testing out an expensive bottle of massage oil? When it arrived in the mail I was ecstatic, but fate was not kind and I had to wait several days before I got the chance to thoroughly test it out with my partner. But the time came, the cap came off and left me pretty darn impressed. I won’t waste more than a sentence complimenting Lovehoney’s incredible discreet delivery service because if you’ve read even a handful of reviews on this site already you’re familiar with it. 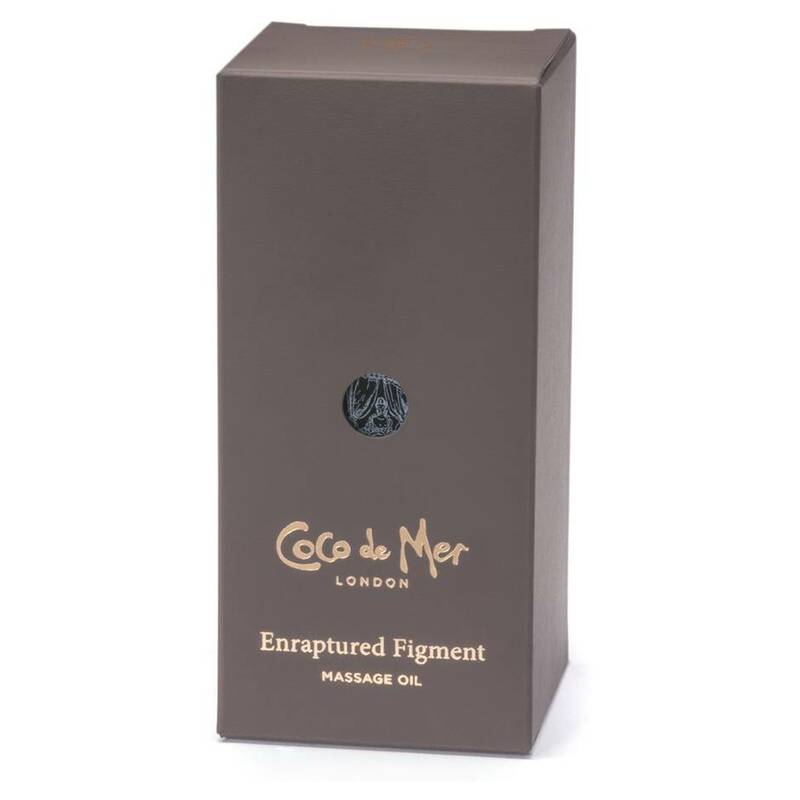 I’ll just say that the Coco de Mer packaging is exactly what I love to see in luxury brands. It's not over the top, but classy, elegant and practical. The same goes for the glass massage oil bottle itself, which is weighty but very sturdy. I wouldn’t recommend throwing it around, but I’ve already clumsily dropped it twice on carpeted floors and it survived both times without so much as a scratch. Getting the bottle to actually release the oil… That was slightly embarrassing. It took me a good twenty minutes of shaking before I figured out you actually had to remove the little white plastic stopper to get the liquid out. In my defence, it looks like it should pour! If you’re anything like me this is the point where you panic a little internally and worry that you’ll empty the bottle by pouring too vigorously. Well, fear not! It’s a really thick consistency that means unless you’re really careless it should be fairly easy to control rate of flow. Now, this is where things get glorious; that smell! It’s not sweet in the slightest, rather, musky with a lot of woody tones. Having only really tried fruity massage oils in the past this threw me but I quickly got on board with the idea. In use it a bit tacky. I was disappointed at first, but realised quickly it wasn’t so bad. You could still rub it around easily enough but it didn’t quite glide like some oils I’ve tried in the past. But this is forgiven for two reasons: One, it still worked fine. Two, this oil has a huge advantage over the oils I have used in the past. Want to hear it? As it dries, the scent stays as it is and doesn’t deteriorate in to some kind of eau de Chip Shop Fryer. One massage used up around one twenty-fifth of the bottle, so it lasts a fair while. On top of that, its delicate scent hung around in the air for a while even after the massaging portion of the night was over. Honestly, I found it a really good mood setter for the rest of the night. 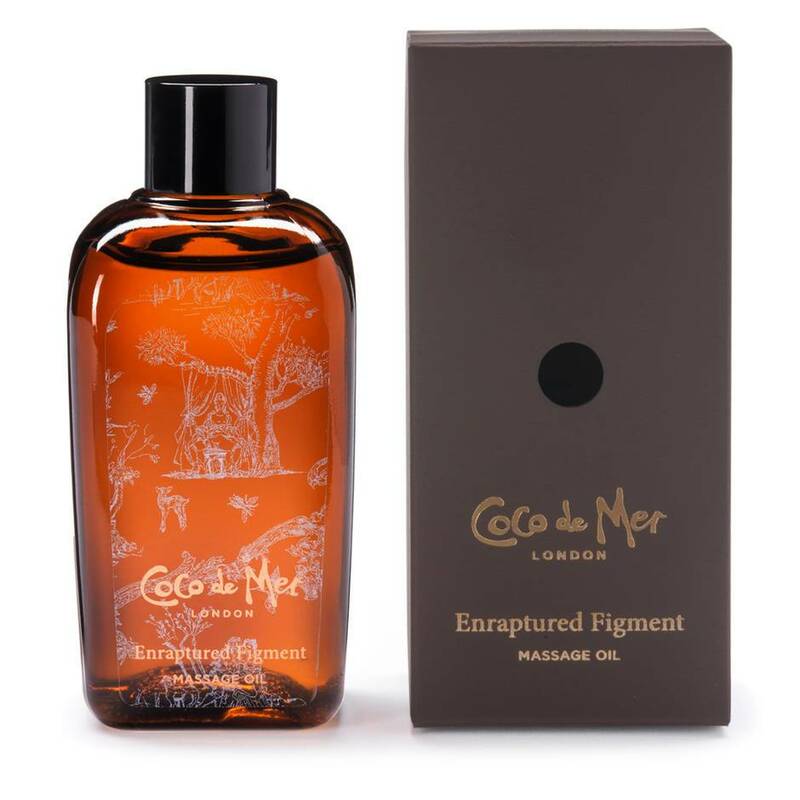 In summary, I am thrilled with the Coco de Mer overall as a gorgeously designed, beautiful smelling and near faultless oil that I only wish I could afford to treat myself to more regularly. While that might not look likely, at least this bottle is set to last me a while. Lovehoney Shoppers, if you want a little luxury in your life I urge you to try this out. You’ll thank yourselves later. A scrumptiously good scent that didn't deteriorate as the night went on. A little tacky to use. I received this as a secret tester item and I was so excited! My OH and I love massages (although I certainly get more of them than he does). One of the first things we noticed is that while the bottle looks lovely, practically it is very awkward. It has a screw top which makes getting into the bottle after the first application very difficult as everything just starts sliding around! (And not in the way you want). The oil itself has a pleasant smell that isn't too strong, and only slightly sweet. I personally prefer them to smell a little stronger so you get a sweet and comforting smell alongside the physical feel, but that's personal preference. One of the downsides to this oil, which made the lid more of a problem, is that the oil dries up far too quickly during the massage and so it needs to be constantly reapplied. This is where getting the lid back open is really tricky! Overall, this oil is great for short massages, maybe a hand or just the shoulders but if you are planning on doing more than one body part of making it last then either leave the lid off or try a different oil. The bottle except the lid, the smell. Dries up too quickly and hard to reapply.